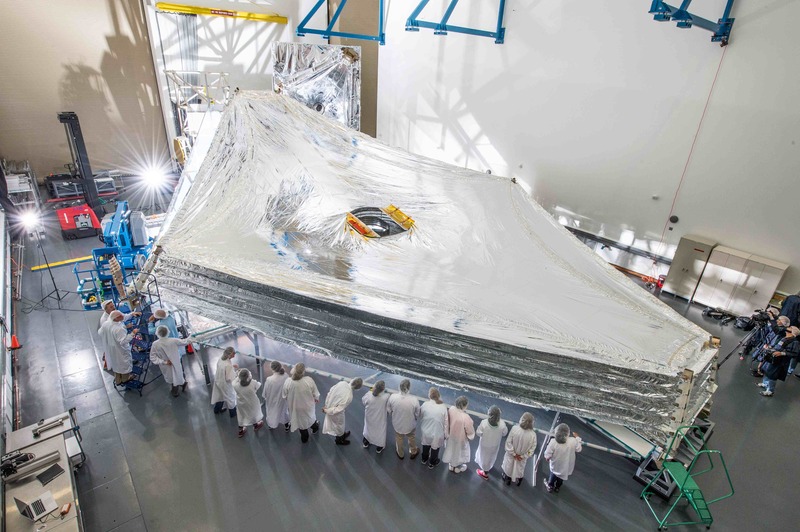 If the deployment of JWST is successful (as I think it will be), the abysmal depths it scours will reveal more countless galaxy cluster groups. …and the coming once again of The Old Ones, when the stars become right… Another great story, Ken! Plenty of pics is a plus! Now they need to repeat this 50 more times to ensure it’s reliable. 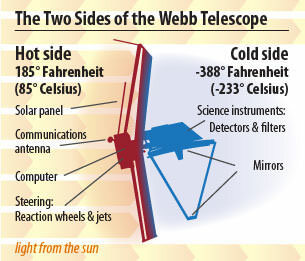 Because this telescope looks like a Rube Goldberg to me. Anyone remember Galileo? The ungainly appearance is a consequence of the telescope’s situation. It’s in space (no streamlining needed) with one side always towards the sun and earth (No tube needed, just the one big screen). Oh, and it has to fold into the ascent fairing. Remember the lunar lander? That looked pretty ugly too. It worked quite well, I seem to recall.